R is a free and open source programming language widely used in academia, industry and government organisations for data science and machine learning. R is well suited for interactive data analysis, visualization and modeling. To view a list of organizations using R, click here. Before we talk about R, let us learn a bit about the S language, which was the predecessor to R. It was developed by Richard Becker, John Chambers and Allan Wilks at the Bell Laboratories. R is a modern implementation of S.
R itself was written by Ross Ihaka and Robert Gentleman at the University of Auckland. The development of R was started in 1992 and an initial version was released in 1995. Version 1.0 was released in February 2000. Version 2.0 was released in October 2004. The latest version, R 3.5.2 was released in December 2018. R is released under GNU GPL license and is currently one of the most popular tools for data science and machine learning. You can find more details and information related to R at the official website of the R project. You can download R, learn more about the R foundation, its members, activities, get the latest news about R and also donate to the R foundation. R foundation is a not for profit organization founded by the members of the R core team and is responsible for the continued development of R. It also supports the annual useR conferences. You can learn more about the R foundation here. R consortium provides support to the R foundation and other key organizations and groups developing, maintaining and using R. It funds projects that improves the infrastructure around R and provides support to conferences and user groups around the world. You can learn more about R consortium here. 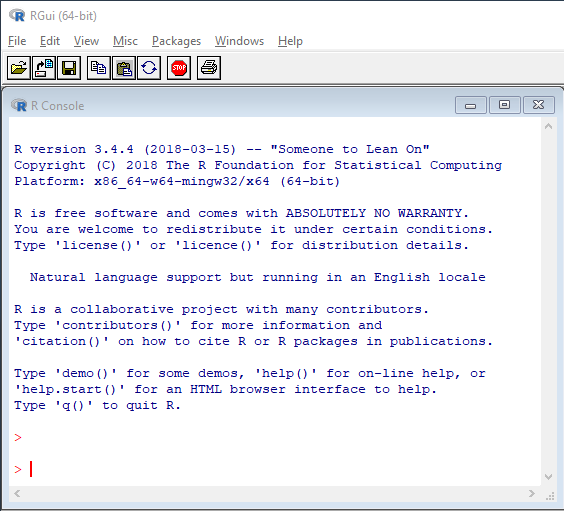 R is available for Windows, Mac and is part of a many Linux distributions. You can download and install R from any of the CRAN mirrors listed here. CRAN stands for Comprehensive R Archive Network and you can download R and user contributed packages from here for different operating systems. CRAN is pronounced as KRAN or C-RAN. R comes with a simple GUI with sufficient features for data analysis and visualization. 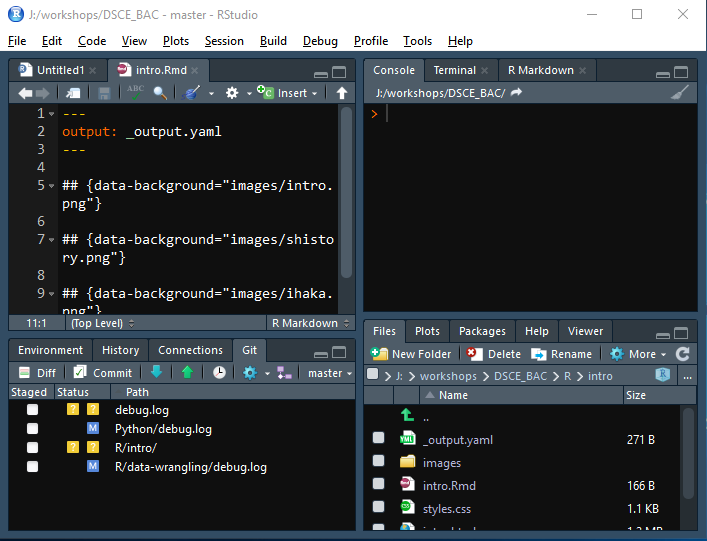 RStudio is a very popular IDE (integrated development environment) built to suit the data science work flow.